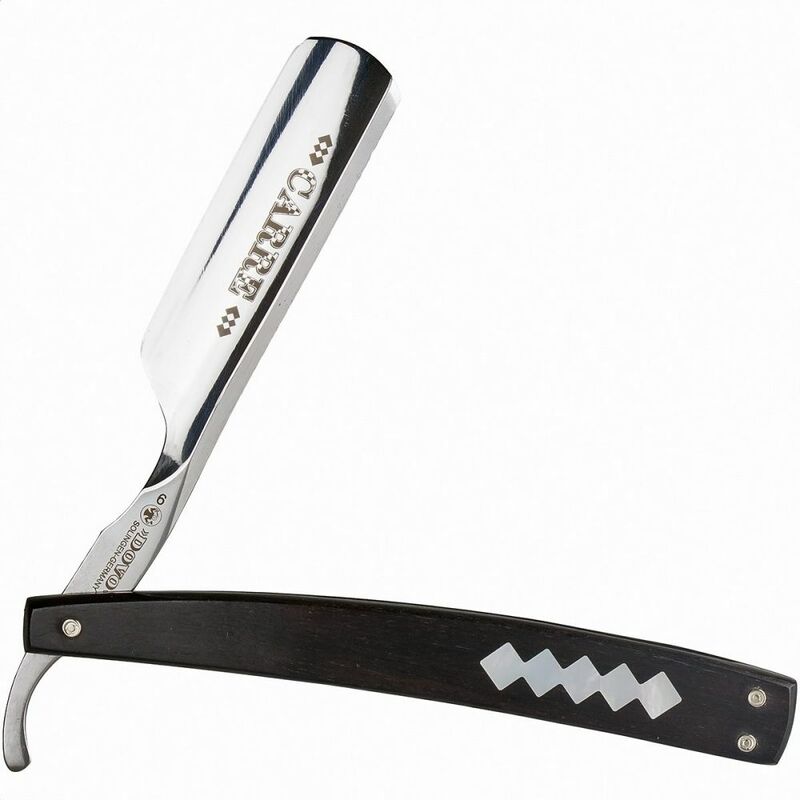 This is a powerful razor due to it’s hench handle. This simple resin handle is totally bombproof and will withstand anything thrown at it. We love the angled base that really sets of the look as a classy design. Also the definite black lends a stealth military vibe. 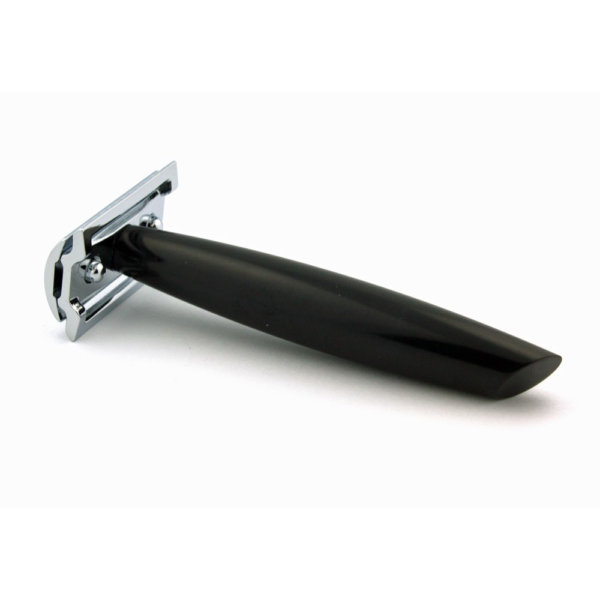 This middle aggressive safety razor is the essence of simplicity for the no messing shaver. At 4″ and a bulky handle makes for an obvious sturdy grip, and the head is also ideal for easy maintenance by being chrome. 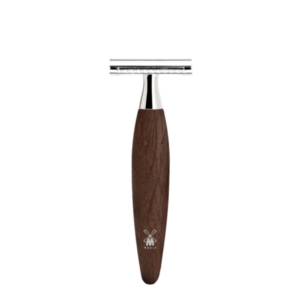 Merkur are a 100 year old shaving company from the south German region of Solingen. This is where the finest metalurgy of the country has always happened. Also traditionally, this is where the swords and armouries came from in the Germanic regions. We are more than happy to welcome Merkur to our range of shavers. They have held there own in terms of quality build and craftsmanship over the decades. You can’t go wrong with middle aggressive shaving. A beginner could safely use one and a novice would shave successfully with one. 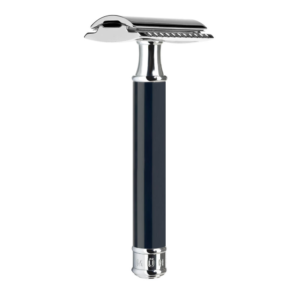 It is a great standard all across the board, due to it being a good everyday razor. For those that need to shave for the alpha male office life, or maybe you shave less. 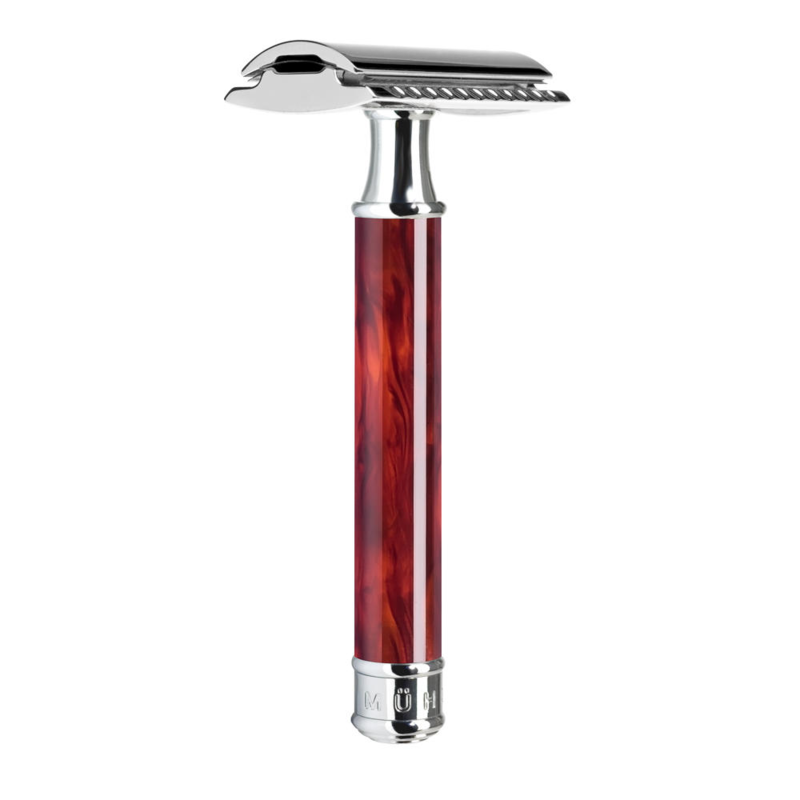 The Merkur safety razor 44 011 also will be the ideal candidate for taking of any beard you have. Always recommending you should use a shaving brush and a quality shaving soap or cream. We suggest you use small strokes with the grain and a second against. However I find that one pass is ample. We have lots of DE shaving knowhow on our famous blog, we suggest you take advantage of which and learn the best ways to shave. The product comes with one blade so why don’t you check out more in accessories. 2 to 3 days delivery on this Item.